More Country than a Sunday Meal at Grandmas!!! Those are words to live by, aren’t they? We are excited that you want to learn more about us and what we do here at KJVC. Feel free to browse around and if you have any questions head over to the contact page and ask away. 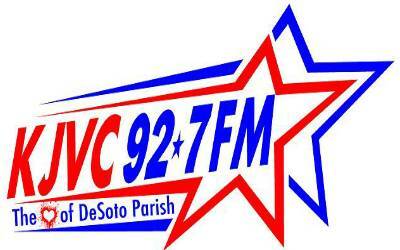 KJVC is your home for Classic Country here in Northwest Louisiana. We know how important those “old” songs are to you. Not only the memories that are attached to them but the people, places and things. In any given hour on KJVC you can hear artists like Merle Haggard, Ronnie Milsap, Elvis Presley, Dolly Parton, George Jones and George Strait. Enjoy great music from when country music was real country. High school games on KJVC are great places for advertisers!! Contact KJVC today to become a member of the KJVC advertising family!